Almost 15% of NB homes are at-risk of flooding. Are you protected? 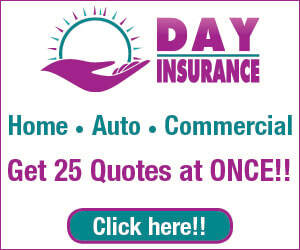 ​In 2013, Canadian insurers paid out a record $​3.2 billion to policy holders​ for losses from weather-related events. ​Even if you don’t live in a flood prone area, you are still at risk of flooding. Floods can occur as a result of excessive rainfall, snow runoff, landslides, overflowing rivers and other weather-related events. Are there different kinds of floods? There are 3 common types of floods: coastal, river, and surface. A coastal flood occurs on the coasts of seas or oceans. These are generally caused by tsunamis, hurricanes, or other major weather events. A river flood occurs when we experience large amounts of rain or snow melt. This can cause overland flooding; when water rises over the edge of the river and onto the land. A surface flood occurs when large amounts of rainfall create a flood of their own. This can cause drainage systems to get overwhelmed and overflow onto the streets. It’s important to note that these are all ‘clean’ water floods and are not typically covered by a homeowner’s policy. What does my home policy cover me for? Standard homeowner’s policies cover sudden and accidental clean water accidents. These are things like burst pipes, a burst hot water heater, or a broken dishwasher. Why can’t I get coverage for coastal floods? Homeowner’s insurance excludes catastrophic events. Among these exclusions are damages caused by nuclear incident, radioactive contamination, war, intentional or criminal activity, snow slide, earthquake, and terrorism. 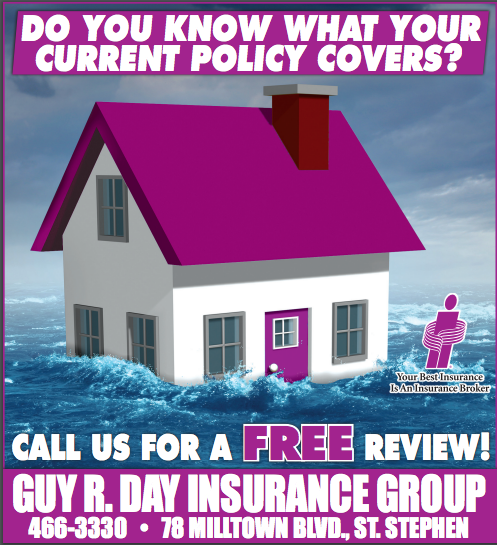 What is overland water coverage? Overland flood coverage covers damages caused by river or surface floods. This can happen when massive amounts of snow melt or during a rain storm. For example, if your property backs onto a lake or river, these events could cause it to overflow and flood. I live in an apartment/condo. Do I need this coverage? Whether or not you need overland water coverage depends on where in the building your unit is located. If you’re in the penthouse of a 20 story high-rise, you’re not likely to experience a flood. However, if your unit is on the ground floor or in the basement, you could experience this. If your condo is damaged by an overland floor, the corporation’s policy will repair your unit. However, your personal property is only covered if you have overland water coverage yourself. Why do I need this coverage? The National Flood Insurance Program estimates that a 6-inch flood in a 2,000 square foot home is likely to cost about $40,000 in damage. In 2016, IBC identified 47,000 homes at-risk of overland flooding in New Brunswick. They also predict that 42,000 of those homes are eligible for this coverage. Am I eligible for this coverage? Most people are. If you live in an area that is flooded quite often, you likely won’t be able to get this coverage. Check with us to see if you’re eligible. What is ice damming? Ice dams are chunks of ice that can build up at the edge of your roof as snow melts. As the snow is melting and your attic heats up, water melts and is stuck between the remaining snow and the ice dam. This backed up water can leak into your home and damage your ceilings, floors, walls, etc. How can I prevent ice damming? It’s a good idea to get snow and ice off of your roof as soon as you can. Consider checking your attic and sealing any air leaks, adding insulation if you have less than 8 inches of it, and adding roof and soffit vents. These steps will help to keep your attic cold in the winter. Am I covered for ice damming? Generally, no. This coverage can be added for an additional premium, same as overland coverage or sewer back-up. How can I protect my property from a storm? Inspect your roof: keeping your roof in good condition reduces the risk of leaks or loose shingles. Trim those trees: trees near your home should be trimmed to reduce the damage they would cause if they fell. Check your drainage: ensure that any water drains away from your house and basement to reduce the risk of flooding and water damage. Emergency kit: you should have an emergency kit able to sustain everyone in your home for at least 72 hours (including animals). This kit should include food, water, important documents like passports and IDs, medications, flashlight, batteries, and a radio.